I'm a Mike with one of those last names you won't know how to say or remember how to spell. I've spent my career surrounded by technology, wearing a multitude of hats-- most notably Customer Service and Software Engineer. I've been a contributing netizen since 1998, when it was common to use a self appointed handle. Paying homage to the lessons of duality, "burden" always seemed appropriate as a reminder to stay humble. All projects are handcrafted using only the finest artisanal ingredients. Mangia!! 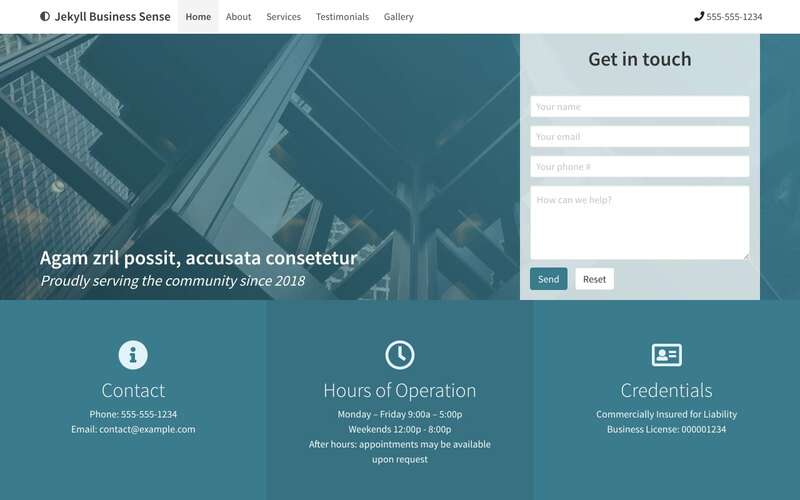 Who doesn't love to save time with a turnkey website? Here are a handful that I did with the help of Jekyll and Bulma. Jekyll is a static site generator that allows you to think modular, but doesn't require all of the extra overhead that comes with some other choices. Bulma is a CSS framework based on flexbox. With a little setup, these boilerplates can be deployed to Github Pages for FREE hosting. I encourage you to pick them apart, learn, and do what you need to do to make it yours. I'd love to see what you make. If you need any support or you have a budget and would rather have me do it for you instead, feel free to reach out. 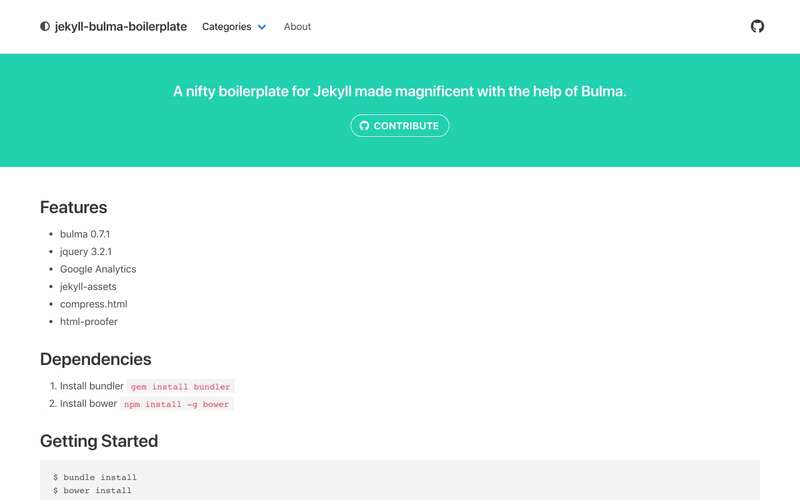 A nifty boilerplate for Jekyll made magnificent with the help of Bulma. Everything you need to get started building your very own sass enabled website. A remarkable single page Jekyll theme for your small business, packed full of SERP tidbits. Notable features: scrollspy navigation, contact form, lightbox-style image gallery, testimonial carousel. 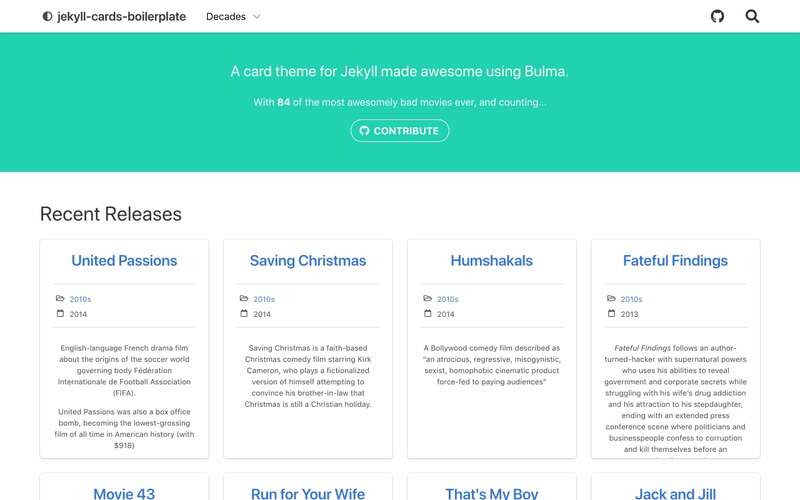 A card theme for Jekyll made awesome using Bulma. Notable features: categorized cards, and a quick search for visitors. 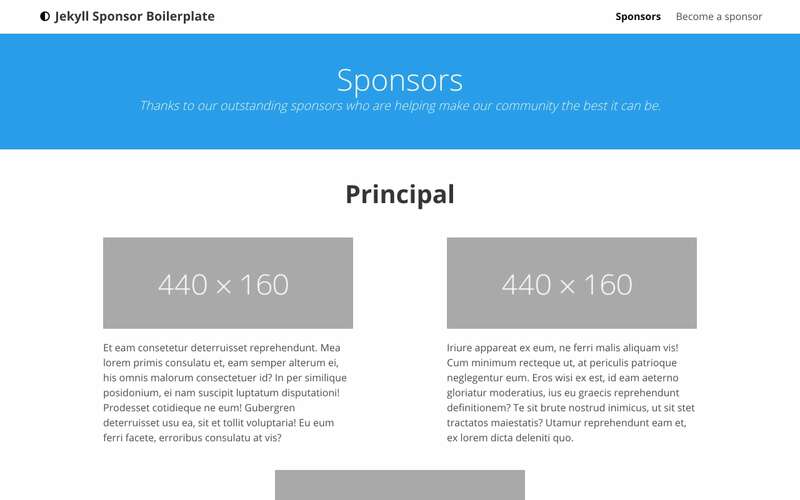 A Jekyll theme for giving thanks to your sponsors made extraordinary using Bulma. Notable features: easily manage campaigns, and sponsors. Stripe “buy now” integration. Sharing is caring, and this time open source is the name of the game. If you’re in the mood to learn a new functional programming language, you’ve definitely gotta check out Elixir School. While I was an early contributor on this project, I didn’t come on board for anything earth shattering until the site was in need of a more constant source of fresh content; to which the solution was of course a blog. Never afraid to go the extra mile, I figured I’d take the opportunity to give the site a refresh as well– for some extra fanfare. I completely removed the original Bootstrap theme in favor of porting the Editorial theme by HTML5UP to Jekyll. 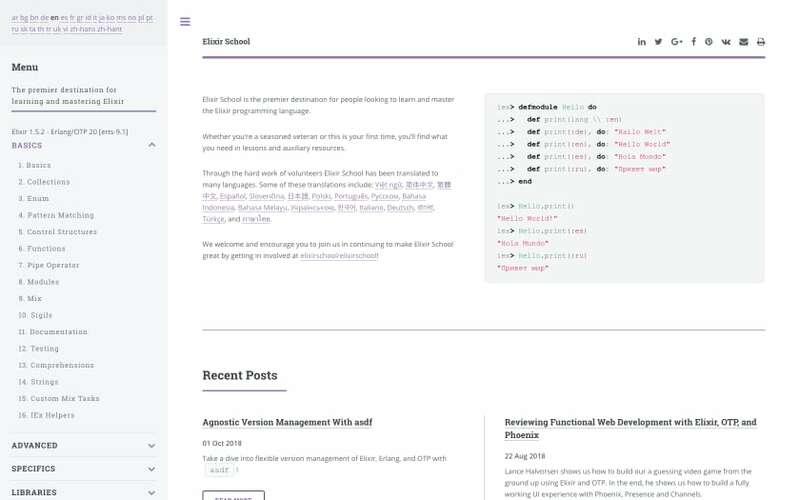 From there I implemented the blog, then made things familiar by adding the original Elixir School color scheme. I’ve since taken it upon myself to volunteer as lead / SME for all things UI / UX (sometimes Ops too). Due to popular demand, I most recently added a dark theme. ColorSplash is a study in React that I collaborated on with @doomspork. This bad-boy chooses random colors for you so you don’t have to. 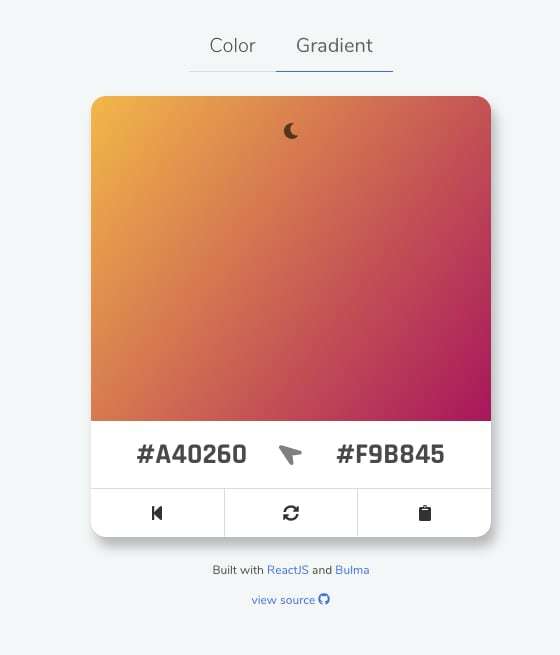 It can also generate a gradient from 2 random colors along with a random direction for those colors to collide 🤯. If you’re the kind of person that likes to take a chance, be sure to check out ColorSplash. 👋 Oh, hello again there stranger. Sure was a long time coming but I’m so glad you were able to make it to another launch party! How do you like the new digs?? Hit me up from the site footer until I get a contact form setup.